Sport TV 1 is a premium sports channel available in Portugal. 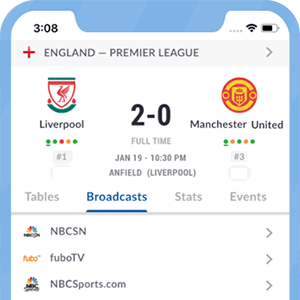 It covers other sports other than Soccer, but within the soccer spectrum it has very good coverage of the following: Soccer News Programs, English Premier League, Portuguese Liga, Spanish La Liga, Italian Serie A, France Ligue 1, UEFA Champions League, Europa Leauge Cup and UEFA Super Cup. This channel is a premium channel available in Portugal. Shows a resume of every game shown. *Got itLive Soccer TV does not provide Sport TV1 live streaming. The information provided on this page is simply Sport TV1 soccer TV schedule.